The Winterhaven PTSA will always strive to support our community and honor difference and diversity, knowing that our children grow and learn best in an environment that clearly celebrates exactly who they are, without fear, and that our teachers thrive most in their work when they are supported. We are all part of a larger community and work to stand for respect and justice in all that we do, with integrity and authenticity. We will continue to pursue and expand these values. 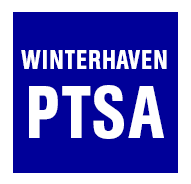 The PTSA at Winterhaven strives to make our school community a safe, welcoming, and inclusive place for every student, parent, teacher, and staff member, and each person in our community should know that the PTSA has your back.